Stimuli-responsive polymers undergo a change in their physical properties in response to a given physical or biological stimulus. In biomedical applications, a physician could use an external stimulus, such as light, to promote a change in a device. Alternatively, the microenvironment surrounding an implant could provide a natural, internal stimulus, such as a change in pH or the increased concentration of an enzyme, to promote changes in a device. 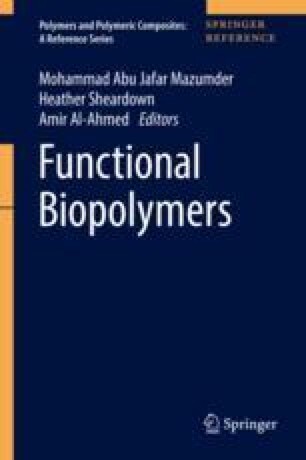 This chapter focuses on the biomedical applications of polymers that respond to the physical stimuli temperature, pH, and light and polymers that respond to the biological stimuli glucose, enzymes, and other proteins.